Australia is considered as one of the best countries to settle permanently with family. It not only provide prefect infrastructure to the immigrants, but also offers genuine professional opportunities to capitalize on and integrate fast. However, in last few months, Australian government has made some key changes in its immigration rules and requirements to streamline the immigration in the country. These changes at one end, aim at organizing the process of immigration, on the other end, it’s the effort from the government to control the immigration influx in the country. To deal these multiple changes, it is wise to take help, assistance and support from a trusted Immigration and Visa Consultant. 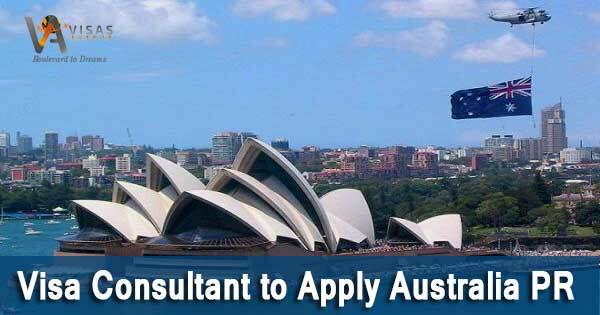 Hiring a genuine and registered immigration consultant has become essential to deal with multiple Australia immigration changes in last few months, especially if you are a layman. Australian government has applied some key rule changes in its immigration procedure and visa categories to make immigration streamline. However, some of these changes have made immigration to Australia tougher than earlier. Here are some key Australia immigration changes implemented in last few months. In April 2017, Australian government abolished popular Subclass 457 visa that used to allow immigrants to live and work in Australia on the temporary basis. Australia launched two new occupations lists, i.e. Medium and Long-term Strategic Skills List (MLTSSL) and Combined List of Eligible Skilled Occupations in place of old skilled occupation lists, i.e. SOL and CSOL. The government removed 200 occupations from the existing skilled occupation list in April 2017. Apart from the changes in existing immigration rules and visa categories, Australian government also updated the visa fees structure. In a recent update, Australian government made some key changes to the existing lists of eligible skilled occupations on January 17, 2018. These changes includes adding and removing certain occupations. So, if a layman applies for Australian visa at the moment, he may have to keep track of all the latest Australia immigration rule changes to follow the instructions and submit an error-free visa application. Also read- What would be the Best Visa Category to Move to Australia in 2018? If you wish to apply and obtain Australian Permanent Residency visa in the year 2018, it is wise to take services from a genuine and accredited Australian Visa and Immigration Consultancy Service. Visas Avenue is a leading and registered Visa and Immigration Documentation Consultancy Firm that offer inclusive assistance to apply Australian PR visa to immigration applicants. It has got a tremendous record in terms of obtaining PR visa approval for the visa applicants. You may contact Visas Avenue Immigration applicant on Toll Free Number- 78-18-000-777 or e-mail your queries to info@visasavenue.com.